Greek Orthodox Community of Melbourne and Victoria - Antipodes Writers Festival presented by Bank of Cyprus Australia, unites writers and audiences across three generations. The timing for the inaugural Antipodes Writers Festival could not have been more perfect to start showcasing Greek-Australian writers and their works, not only through individual events but collectively to a wider audience. 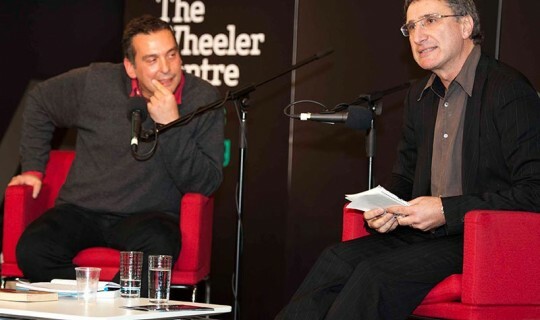 Across the weekend, more than 1,000 people gathered at the Wheeler Centre to hear over 50 writers discuss their work and their inspiration, and the opening session on Friday evening with Christos Tsiolkas and Nikos Papastergiadis attracted 260 people alone. The Antipodes Writers Festival has given younger generations who are usually dispersed in the wider community, a forum, a meeting place, a sense of belonging, and a way of reconnecting with their Greek identity. It was inspiring to see this generation coming together for session. Australian Slam Poetry champion Luka Haralampou said "It means so much to me that my work is appreciated by the Greek community here in Australia. Eυχαριστώ πολύ!". The first Antipodes Writers Festival has generated sufficient interest across all generations and has effectively announced to the wider community that among other things we produce an abundance of talented writers, so that its continuation into the future will be guaranteed. We thank all of the writers, chairs and volunteers who made this event possible.